Equal part reality-check and Bible study. These LifeBuilder sessions help small groups and individuals discuss where we place value, and where God places it. Money and work – these words alone can cause anxiety. But we shouldn't worry – God wants us to live in freedom, trusting him and learning to manage our gifts wisely and generously. This LifeBuilder Bible Study points to God's trustworthiness and generosity to help us rest in the peace he offers. 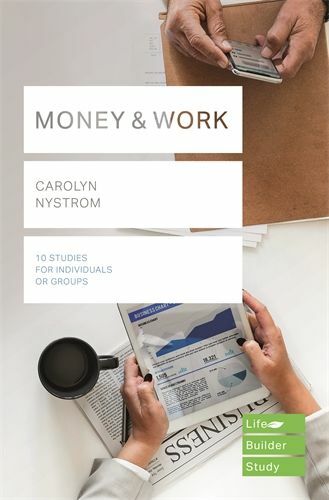 Money & Work (Lifebuilder Study Guides) by Carolyn Nystrom was published by SPCK in September 2018 and is our 39805th best seller. The ISBN for Money & Work (Lifebuilder Study Guides) is 9781783596980. Be the first to review Money & Work (Lifebuilder Study Guides)! Got a question? No problem! Just click here to ask us about Money & Work (Lifebuilder Study Guides).